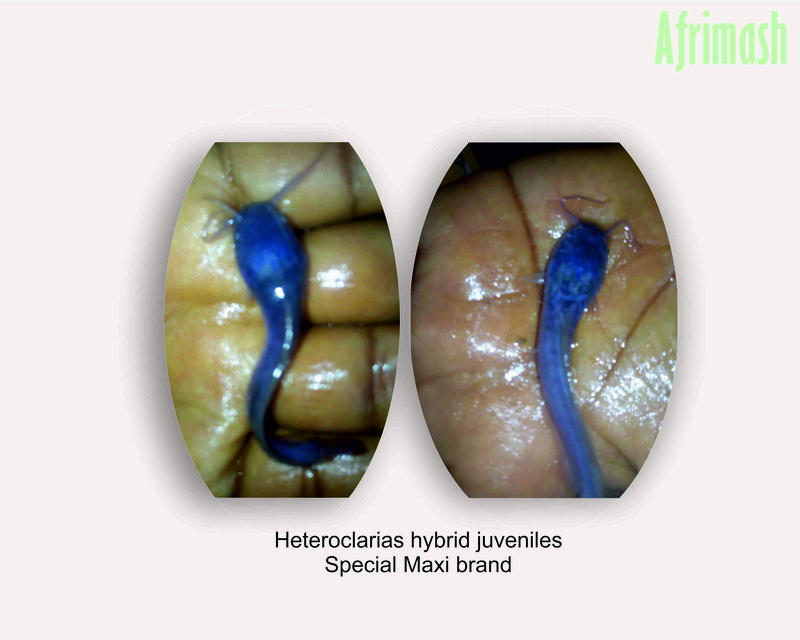 Heteroclarias spp catfishes are recommended for fish farmers who want more profit and greater survival of their fish, with the hybrid option. 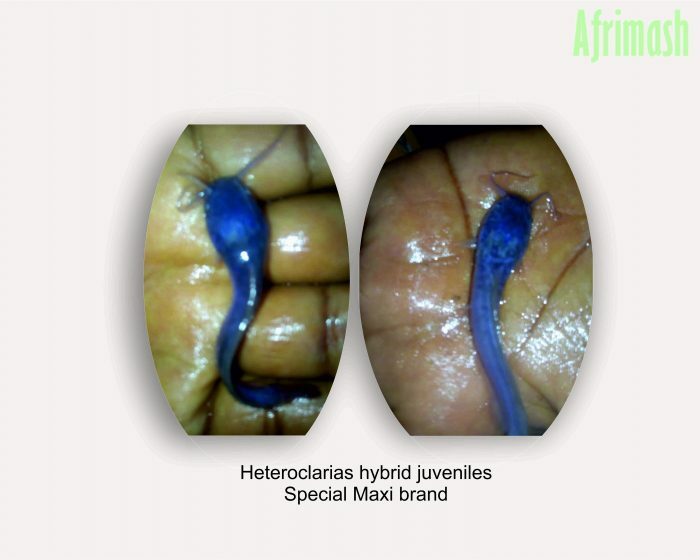 Heteroclarias juveniles are hybrid products of the cross between male Heterobranchus longifilis and female Clarias gariepinus. They are very rugged and disease resistant. These species consume less feed when compared to Clarias species. They thrive well on a wide range of plant protein based fish feeds. With comparatively longer post-harvest survivability, they are thus preferable to buyers. Its white flesh gives it a better taste than catfish species. Reduce stress from point of transportation to point of introduction into the pond.